We hope you can join us for the following free webinar, part of an ongoing APG Professional Development webinar series sponsored by the Association of Professional Genealogists. Please feel free to share this invitation on relevant mailing lists, with your local society, or with anyone else who might have an interest. You’ve finished the client’s research and written a concise, fact-based report. Case closed, right? Not so fast. What about the stories you uncovered? What about those tantalizing tidbits that point to colorful characters and unusual events? Your clients may not ask for a written story, but, often, that’s what they really want from your diligent research efforts. They want to embrace the stories that their ancestors neglected to pass down to them. 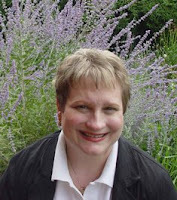 Join APG member Mary Penner as she offers tips on developing a writer’s instinct for story. She’ll address the differences between a genealogical narrative and a genealogical story, how to spot story-worthy events and characters, how to research a story, how to write a lively story, and how to earn additional income from story-writing. A Missouri native, Mary Penner lives in New Mexico where she works as a professional researcher, speaker, and writer. A three-time ISFHWE award winning author, her articles have appeared in Ancestry magazine, Family Tree Magazine, Family Chronicle, the APG Quarterly, FGS Forum and numerous other publications. She has also written many articles for Ancestry.com and wrote a weekly genealogy column for the Albuquerque Tribune. She recently wrote and published a collection of stories that chronicles the life of a Pearl Harbor survivor and Vietnam War veteran. Mary conducts research throughout the state of New Mexico, specializing in Santa Fe Trail traders, land grant records, and Mexican and Territorial era documents. She has been awarded research grants from both the Kansas and Missouri state historical societies. Mary currently serves on the APG Board of Directors. Before establishing her genealogy business, Mary was a high school and college English teacher. Learn to manage multiple projects without derailing the research in this engaging presentation by professional genealogist J. Mark Lowe. Discover the techniques & skills needed by every professional to keep your clients on board. This will include time planning, scheduling, and decision-making tools. J. Mark Lowe is a full-time professional genealogist, author, and lecturer and researches primarily in original records and manuscripts throughout the South. He also serves as a Course Coordinator for the Salt Lake Institute of Genealogy (SLIG) and Samford University’s Institute for Genealogical and Historical Research (Research in the South) and Director of the Regional In-depth Genealogical Studies Alliance (RIGS Alliance), learning sessions and hands-on research focusing on original documents and manuscripts at regional archives. Mark has worked on several genealogical television series including African American Lives 2, Who Do You Think You Are? appearing on a recent episode featuring Lionel Richie. He is a Past-President of APG, Past-President of FGS, and Past-President of the Southern Kentucky Genealogical Society. Mark is a Certified Genealogist and a Fellow of the Utah Genealogical Association, and was awarded the Graham T. Smallwood award by the Association of Professional Genealogists. 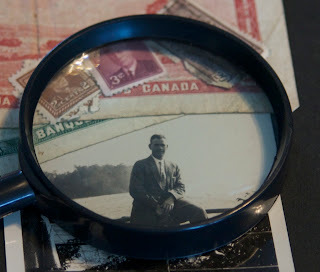 Discover how to research your Canadian ancestors. 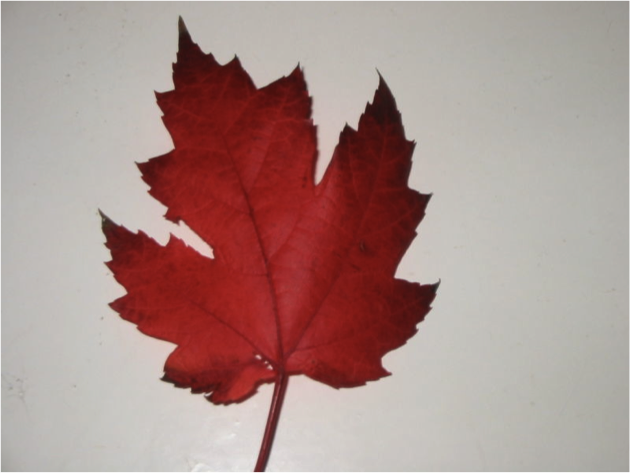 Learn techniques and tips for researching Canadian records, as well as the best websites for Canadian family history. Register here to attend the webinar. Learn how to organize and share your digital images! If you are unable to quickly locate any digital image or document, you need the techniques that Legacy Family Tree's Geoff Rasmussen (that's me!) will teach in this free webinar. You will learn how Google's Picasa and Adobe's Photoshop Elements can help you sort, tag, and quickly locate your pictures. You will also learn how to securely access your photos in the "cloud" (from any internet-connected computer) and share them with others. Finally, Geoff will give suggestions on how to organize your digitized genealogy documents (wills, census, etc.) and add them to your Legacy Family Tree file. On a personal note, I'm converting my most-popular genealogy conference class, Digital Images for Genealogists and Technologists, into two separate webinars - this sharing/organizing webinar on February 29 and the scanning/digitizing/editing/preserving webinar on June 27. I'm excited to share these ideas with our world-wide audience for the first time! Remember - although registration is free, space is limited to the first 1,000 people to join on the day of the event. These two webinars already have over 1,000 registrants so if you want to participate in the live session, try to join at least 15-20 minutes early. If you're unable to get in, the recording should be available in our webinar archives within a few hours afterwards. And to make sure that your computer is ready for it, make sure you have already installed the latest version of Java from http://www.java.com. Click here to register for Organizing and Sharing Digital Images (broadcast on February 29). Click here to register for Digital Images: Scanning, digitizing, editing, and preserving your photos (broadcast on June 27). Geoffrey D. Rasmussen is the father of four budding genealogists. He graduated with a degree in Genealogy and Family History from Brigham Young University and has served as director and vice-president of the Utah Genealogical Association. He is a dynamic genealogy speaker on all forms of genealogy technology, and as host of the Legacy Family Tree webinar series, has spoken virtually to nearly 100 different countries. He recently received the Distinguished Presenter Award at the prestigious RootsTech conference in Salt Lake City (2011). He has authored books, videos, articles, and websites, and develops the Legacy Family Tree software program. On a personal note, Geoff enjoys playing the piano, organ, cello and basketball. His favorite places are cemeteries, the ocean, and hanging out with other genealogists. He met and proposed to his wife in a Family History Center. Make sure your computer is up-to-date with the latest version of Java. A year ago, life was getting complicated with so many genealogy webinars and no centralized calendar. THE RECIPE for the cure? Step 1: Combine a small domain purchase (GeneaWebinars.com) and two free Google properties, Blogger and Google Calendar, and create GeneaWebinars. Step 2: Add in a generous amount of all known genealogy webinar people to build the calendar and make blog posts advertising upcoming events. Step 3: Mix in the ever curious GeneaPublic. GeneaWebinars is one-stop shopping for info on genealogy webinars each week. Congrats to all who have taken advantage of webinar technology to share research experiences and technology expertise. What a great way to learn our craft and hone our skills. Thomas Macentee interviews DearMYRTLE in Happy Blogiversary to GeneaWebinars! where I said "To my mind, it’s a better use of my monies to spend $30 annual to join a society that presents one or two webinars a month, saving the archived versions in the members’ only area than it does to read the society’s newsletters. I really relate to the multi-media approach to learning. I like to listen to webinars while doing my filing or scanning on another computer. I can stop, rewind and replay a segment of an archived webinar to study a specific idea in more detail." NOTE: Birthday candles graphic is from WikiPedia.com. Permission is granted to copy, distribute and/or modify this document under the terms of the GNU Free Documentation License, Version 1.2 or any later version published by the Free Software Foundation; with no Invariant Sections, no Front-Cover Texts, and no Back-Cover Texts. A copy of the license is included in the section entitled GNU Free Documentation License. Illinois State Genealogical Society is proud to announce its new webinar series for 2012. For those of you new to this form of genealogy education, webinars are lectures delivered over the internet that you can access on your computer from your home or office. On the second Tuesday of each month at 8 PM Central, we will hold a live webinar, which is free to anyone. ISGS members can access a recorded copy in the Members Section of the ISGS website at any time after the live event. In January, we kicked off the series with Thomas MacEntee’s presentation, 10 Ways to Jumpstart You Genealogy in 2012. And on February 14, Lisa Alzo presented Cool Tools for Publishing Your Family History. Both of these presentations are now available to ISGS members in the Members Section of the ISGS website (http://ilgensoc.org/members.php). On Tuesday, March 13, at 8 PM Central, Amy Johnson Crow CG will present, Desperately Seeking Susan: Finding Female Ancestors, where you will learn about sources and methodologies to help you find those elusive female ancestors. To attend this webinar, register at https://www3.gotomeeting.com/register/736521718. The lineup for the 2012 webinar series is complete, and we have some exciting presentations planned with an array of fabulous speakers. Below is a partial list of upcoming webinars, but for the complete list, visit the Webinars page at the ISGS website at http://ilgensoc.org/cpage.php?pt=234. We've also created a flyer that you are welcome to pass along to others who might be interested in attending ISGS webinars. Be sure to print a few and hand them out at your local society meetings. The flyer can be accessed at http://ilgensoc.org/upload/menu/2012webinarbrochure.pdf. Three DearMYRTLE genealogy webinars are on the docket for genealogists. It’s about time you used GOOGLE READER to pull in posts from your favorite genealogy bloggers. Since our last webinar on this topic, the good folks at Google changed their interface. This "workshop" webinar will demo in real time how to set up Google Reader with five basic blog feeds and create folders among other options of this free service. Ol' Myrt reports on her on-site experiences pulling land records from the National Archives, including cash entry, desert land claim and an 1812 bounty land grant. The Georgia Genealogical Society is excited to have Dr. Ugo Perego as our presenter for this webinar. Dr. Perego will provide a general overview on how genetic testing can be of great assistance to family historians to trace, verify, expand, and link genealogical records and pedigrees. Particularly, we will cover the paternally-inherited Y chromosome and the maternally-inherited mitochondrial DNA with the purposes of showing how these two markers can play a powerful role in the search for our ancestors and of our deep roots. Whether you are a beginning researcher or have been at it for decades, if you have a brick wall ancestor you need to watch the recording of today's webinar, Ten Brick Wall Tips for Beginners, by Marian Pierre-Louis. Do I dare say that it was one of the best - if not the best webinar - we've ever had! I guess I feel that way after each one, but she was that fantastic. If you could not make it to the live event or just want to watch it again, the 1 hour 31 minute recording of Ten Brick Wall Tips for Beginners is now available to view in our webinar archives. Visit www.LegacyFamilyTree.com/webinars.asp to watch. It is available for free until February 27, 2012. Own your own copy of Ten Brick Wall Tips for Beginners by purchasing the webinar-on-CD for just $9.95. It includes the 1 hour 31 minute recording of the class, the complete Q/A session, and 4 pages of handouts. Click here for more information or to purchase. The special discount coupon of brick that was announced during the webinar is valid for 10% off anything in our online store through Monday, February 20, 2012. Organizing and Sharing Digital Images with Geoff Rasmussen, February 29. Canadian Treasures, photo by Kathryn Lake Hogan, Windsor, Ontario, 2012. Kathryn Lake Hogan of LOOKING4ANCESTORS announces free webinars for researching your Canadian family history. There's Still Room in Cool Tools for Publishing Webinar February 14, 2012! Join the Illinois State Genealogical Society on Valentine's Day for a "dinner and a webinar" date! Lisa A. Alzo, M.F.A. is a freelance writer, instructor, and internationally recognized lecturer, specializing in Slovak/Eastern European genealogical research, writing your family history, and using the Internet to trace female and immigrant ancestors. She is the author of nine books, including the award-winning Three Slovak Women, and hundreds of magazine articles, and writes the blog "The Accidental Genealogist." Description: Now that you've written your family’s story, what do you do with it? Thanks to technology and the Internet, it’s easier than ever to document and share your genealogical discoveries. Those attending this FREE webinar will learn about some of the popular online tools and methods available for writing and publishing a cutting edge family history. For those who can't attend on February 14th, a recording of the webinar, along with the syllabus, will be made available in the Members Section of the ISGS website at http://www.ilgensoc.org. If you're not already a member of ISGS, visit Join ISGS! for more information. Heritage Collector FREE webinar. Learn how to make a Family History Valentine. Marlo and Kathleen will be teaching a free joint class tommorrow February 9th at 6pm MST. At this class you will learn how to make a family history valentine using Heritage Collector Storybook. Valentines day can be a special holiday for everyone to enjoy and celebrate. If you need some fun and unique ideas for this upcoming holiday, this class is for you! Sign up for the online class here. Jim Ison will discuss how DNA testing has become the only option for many in learning about African origins. As popular as DNA is in providing clues to ancestral origins, there are limitations to what can be learned using DNA tests. Learn major migration patterns of millions of African Americans from colonial America to the deep South and on to Northern states and, how the Trans-Atlantic Slave Trade database can provide insights into African origins. Jim Ison, AG, CG, is a manager at the Family History Library. He was the first director of the FamilySearch Center at the National Underground Railroad Freedom Center. Presenter at AAHGS, International Black History Summit, NGS and FGS. Former national Board member of the Association of Professional Genealogists (APG) and past President and Vice-President of the Utah Chapter of APG. Deborah Abbott will help us understand how Manuscripts, which normally are not found online, are one of the most underutilized resources in genealogical research. These primary sources help to bring ancestors to life by adding history, feelings and personalities to the people who lived before us. Letters, diaries, photographs, oral histories, journals, and memoirs are just a few of the documents found in manuscript collections. Learn how to locate these records and become familiar with the repositories that hold them. Deborah A. Abbott, Ph.D., is an adjunct faculty member at the Institute of Genealogy & Historical Research (IGHR) at Samford University in Birmingham, Alabama and currently serves as a Trustee on the Ohio Genealogical Society (OGS) Board. She is past-president of the African-American Genealogical Society, Cleveland, Ohio (AAGS) and a retired professor of Counseling from Cuyahoga Community College in Cleveland. She holds both the Bachelor of Science and Masters of Education degrees from Tuskegee University (Alabama) and the Ph.D. degree from Kent State University (Ohio). Description: Discover the role African American soldiers played in the U. S. Civil War, and what can be learned from records about their military service. Michael Hait, Certified Genealogist, is professional genealogist living in the Delaware / Maryland area with over ten years of research experience on families from Connecticut to South Carolina to Tennessee. He is, also, a published genealogical author and lecturer. His specialties include Maryland genealogy, Delaware genealogy, Civil War research, and African-American genealogy. I have done extensive research on slave families in Maryland, and the U. S. Colored Troops during the Civil War.ael Hait, Certified Genealogist, is professional genealogist living in the Delaware / Maryland area with over ten years of research experience on families from Connecticut to South Carolina to Tennessee. He is, also, a published genealogical author and lecturer. He currently serves as the Vice-President of the National Capital Area (Washington, D. C.) chapter of the Association of Professional Genealogists (APG), and Coordinator of the Resource Library for Lowcountry Africana. After registering you will receive a confirmation email containing information about joining the Webinar. You will use your unique URL in your confirmation email to logon to the live broadcast on the 13th of February. SPECIAL "FRIENDS OF THOMAS" COUPON! SAVE 25%! Use code TMACFRIENDS when purchasing the They're Alive! webinar! Join me on Thursday evening, February 9, 2012 for my next webinar: They're Alive! Finding Living Relatives over at Family Tree University. Sooner or later most genealogists find that they have to stop looking for dead people and start looking for living ones. Whether you’re working on adoption research, reconnecting after a generations-old family feud, or just looking to track down your third cousin to share photos, finding living people is a key part of every genealogist’s journey. Thomas MacEntee will share his secrets for finding your long-lost relatives in this webinar. Can't quite get RootsTech 2012 out of your system. Ol' Myrt's opening the virtual doors on two webinars TODAY, designed to gather feedback about the awesome technology / genealogy conference held Thursday, Friday and Saturday this past week. RootsTech 2012 was all about people. OK, dead people do factor in. Amazingly for a US conference, over 4,300 people registered -- up 35% from last year's debut of this phenomenally energized genealogy technology event. The BEST PART about attending RootsTech 2012 was meeting friends from all over the world! Ol' Myrt here will host two RootsTech 2012 Review workshop webinars today to share thoughts with live and remote RootsTech 2012 participants. This means YOU! We need your input! I'm confident we'll have a few "FS, A, bs" and other lurkers to hear what we, the family history researchers of the world, have to say about how this conference handled the concept of merging cool technology with the ancient art of genealogical research. COME JOIN THE WEBINAR this morning or later this evening, to share you thoughts! My contributions to today's discussion developed as I attended the keynote sessions each morning, and spent the bulk of each day doing video and audio interviews with key players. What did you think is the most important take-away from this conference? What's up with brightsolid's addition of CensusRecords.com and the new pay-per-view to access US census record indexes and images? Is this a lower price point trend? "Collaboration" seems to be the buzzword of late. Wonder why Ancestry.com isn't playing with others in the sandbox? Did the newbie developers feel they got a fair shake at the conference? Was their experience as energizing as it was for semi-technically capable genealogists like Ol' Myrt here? What do FamilySearch, brightsolid and Archives.com have in common? Speaking of Archives.com, what is their single best contract partnership of late? How do you feel about a FamilySearch employee winning the RootsTech Developers Challenge? What's with the "ecosystem" concept at FamilySearch? Which genealogy vendor doesn't understand a luncheon talk should be more entertaining, less technical? More importantly, what was all that about Jay Verkler's hair? Do "unconferencing sessions" work for you? How about that RootsTech 2012 app? Syncing? update notices? Oh, and the truth is, Josh Coates really went barefoot for his keynote! In a jam-packed room in Salt Lake City, Utah, the first-ever Genealogy Idol competition took place - and it lived up to the hype. Held at RootsTech (over 4,000 attendees), AND broadcast to a live webinar audience, finalists Elizabeth Clark, Elyse Doerflinger, Michael Hait, and Marian Pierre-Louis presented three 3-minute presentations on their favorite technology tip, their favorite website, and their favorite genealogy serendipity story. At the end the virtual attendees cast their votes live and picked the RootsTech Genealogy Idol winner - Marian Pierre-Louis! Congratulations to Marion. The results were very close - for which I couldn't have been more pleased. All four presenters educated and entertained the audience - everyone, especially the viewers left a winner. Thanks again to our presenters! If you could not make it to the live event or just want to watch it again, the 1 hour recording of RootsTech Genealogy Idol is now available to view in our webinar archives. Visit www.LegacyFamilyTree.com/webinars.asp to watch. The special discount coupon of idol that was announced during the webinar is valid for 10% off anything in our online store through Monday, February 6, 2012.